The moment I watched the first episode of 24, I was instantly a fan. I have a thing for suspense/thriller. 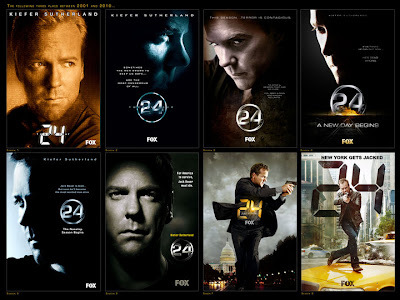 A season of 24 has 24 episodes which covers a day in the life of CTU (Counter Terrorism Unit) Agent Jack Bauer. An episode is an hour worth of Bauer's life. It happens in real time. That made 24 different. It also resurrected the career of Kiefer Sutherland. The show went on air for 8 season/years. We have seen Jack lose his wife and most of the people he cares for. In the end, he only had his daughter Kim, and the most loyal co-worker turned friend, Chloe O'Brian. Jack is one tough man who probably has a cat's nine lives. I would not want to be in the same world as he is. Jack Bauer is synonymous to terrorism. Presidents are being assasinated, the existence of nuclear bombs, nerve gas and airborne viruses, the White House was attacked and the President held hostage. It's a scary and dangerous world. Jack is a total mess - he lost his wife, got addicted to heroin, believed to be dead for his protection, imprisoned, exposed to biological weapon, subjected to Senate hearing and so on. I really thought he would die in the end because of his patriotism. Yet, Bauer is the one person US presidents (even Heads of State of our countries) listen to. They trust him with their lives. He never betrayed his country even sacrificing his own private life. In season 8, I cringed when Jack went on a killing spree. I was sad that he had to succumb to revenge. Then I cried with Chloe at the last scene. I will miss watching Jack Bauer. 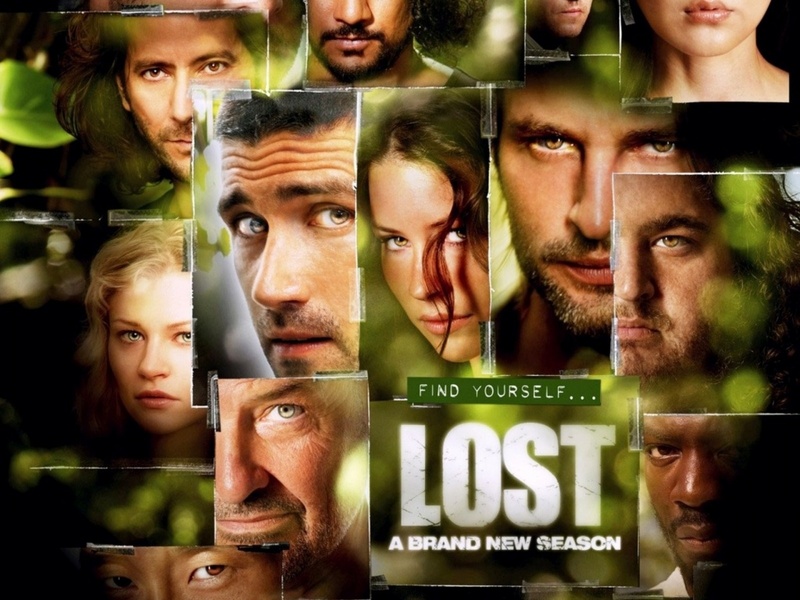 To be clear, my favorite character on Lost is James Ford, popularly known as Sawyer, not Jack Shepard. The latter just happened to be the show's lead character. The creator of Lost, J.J. Abrams, is the same man behind one of my favorite TV series, Alias. Because of this, I had to watch Lost. It started out pretty normal - plane crashing on an island and there were survivors. I learned about the different lives of the passengers of Oceanic flight 815. There was Locke, Hurley, Kate, Claire, Sayid, Sun and Jin, Charlie, Michael, Walt, Shannon and Boone. They were waiting to be rescued at the same time finding means to communicate outside the island - the mysterious island. A few seasons after we were introduced to more characters - Ben, Eko, Charles Widmore, Desmond, Libby, Ana Lucia, Juliet and the Others. Later on, there were Miles, Dr. Chang, Charlotte and Daniel Faraday. Yes, the plot got very complicated and confusing. Throw in the character of Jacob and his black smoke unnamed twin brother, I definitely needed time to digest the new developments. Lost has this way of connecting/linking all passengers prior to the crash. They have their own six degrees of separation. In the end though, I kind of understood the mystery of the island. The "what if flashbacks" were engaging. It is interesting to watch what could have happened if the plane did not crash. However, the meaning of these 'flashbacks' were explained in the end. The series had ended but I still have questions. I am still somewhat lost.